Whether new to the show or longtime fans, listeners won’t be disappointed by these 12 action-packed episodes. 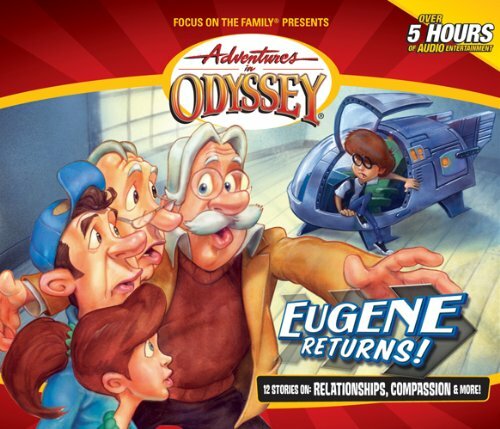 The Present Long Ago is one of many stories that feature kids in Odyssey learning important lessons, while seven episodes star Eugene―including his exciting re-introduction. In that three-part show, Whit breaks the shocking news: Eugene has amnesia, a loss of memory with no viable cure. Connie, Tom, and Bernard will stop at nothing to help their friend, including a risky experiment. It’s an adventure over 17 years in the making: Eugene Returns!